I've made this twice now. 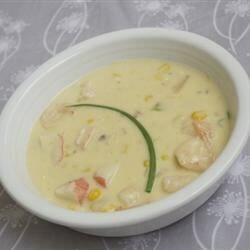 Both times this chowder received raves from my family and my friends. I haven't changed the recipe a bit - I just doubled it because everyone goes back for seconds (and thirds).I'm from Louisiana so I am particular about my crawfish - this passed all my tests for a delicious use of Louisiana crawfish! Thanks Tina!